Not all binoculars are meant for the same purpose. High-end optics are important for astronomy, birding, and competitive hunting — but they can be a bit much. For everyday use, you want sharp, clear, easy-going bins that are part of your life and not a hobby in themselves. Nikon’s ProStaff line of affordable binoculars are excellent candidates for all-around daily use. The Nikon ProStaff 5 8×42 is a lightweight, versatile, uncomplicated bino with good optical performance. We’ll review why this model is so popular, so you can see if they’re what you’re looking for. 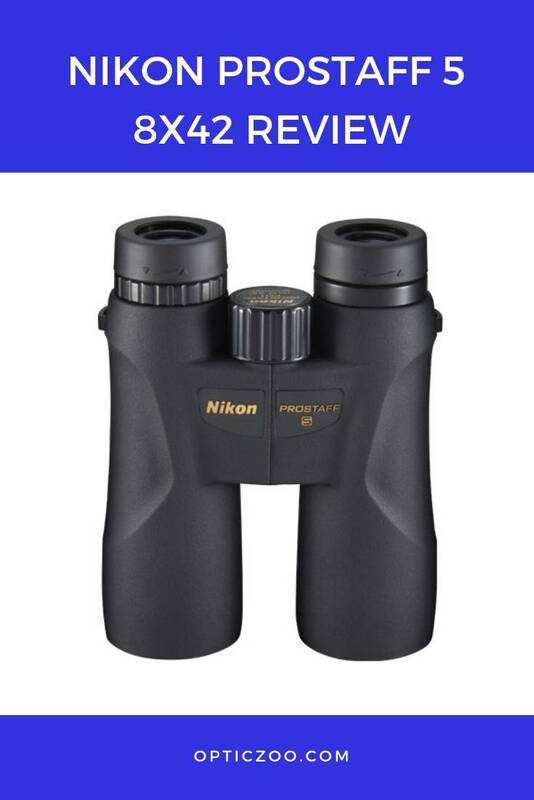 These ProStaff binoculars are an entry-level glass that benefit from Nikon’s optical design and customer satisfaction. Nikon knows from years of manufacturing experience which features matter most for general use. Of course, you aren’t going to find greatness here — all that’s been ironed out and packaged for upstairs. What you get is a handhold down the steps into the easy pool, exactly the right solution for many beginners and busy people. You don’t need a Nikon Monarch 7 to laugh at the neighbor’s cat with, or watch the game’s action, or check out an eclipse. 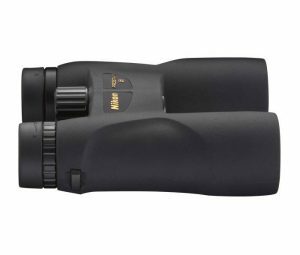 An all-rounder will do for most situations, and the Nikon ProStaff 5 8×42 is versatile binoculars that offer about everything you could want in a starter set. The ProStaff delivers a sharp image, one close in quality to many higher-end binos. This area is where Nikon’s quality processes really make a difference. The lenses are multi-coated with lead- and arsenic-free Eco-glass lenses. Its high- end BaK-4 glass prism is placed in a compact roof design, and anti-reflective nano-film is applied to maximize light within the optical chamber. All this technical engineering shows through in a bright image with good clarity. An 8x magnification is popular for spotting, because you can find known targets much more easily. It’s a versatile magnification good for everything from a slow area scan to looking at the birdbath up close. The 42mm objectives bring in ample light to boost the image’s brightness, but there are a few dings. The center is the best part of the view, as its quality degrades a bit toward the edges. You may get haloing in bright light, too, due to a weakness of a roof prism’s optics — it requires phase correction to avoid, and that process isn’t done here. The FOV at 330 feet (100m) can scope out a lot of terrain at once. The sizeable 5.25mm exit pupil aids brightness rather than FOV in this design, so the view isn’t particularly wide for an 8x — but it’s within standards. You can focus as close as 16.4 feet (5m) away: nothing amazing, but okay for most uses. The exterior is sleek with a large center focus knob that’s easy to adjust and can be turned with gloves. It’s a slow focus, taking 1.5 revolutions to span the entire focal range. The diopter ring is convenient and easy to focus, though there’s some play in the twist-up eyecups. There are 4 settings to customize your eye-to-glass distance. The Nikon Prostaff 5 8×42 is versatile performers in all kinds of daylight, and their optical enhancements for brightness help them shine in darkened conditions, too. Though the bins are only average low-light performers, they are sufficient for you to get up before the birds and watch the early ones get the worm. The Nikon Prostaff 5 8×42 has an exceptional eye relief of 17.6mm, so you don’t have to worry about eyeglasses obstructing your view. By combining this ample relief with extendable eyecups, Nikon makes sure you can grab these binos and start looking no matter what you have over your eyes. By combining this ample relief with extendable eyecups, Nikon makes sure you can grab these binos and start looking no matter what you have over your eyes. Nikon uses a roof prism configuration that keeps the binoculars compact and streamlined. The polycarbonate resin housing is lightweight and reinforced with fiberglass for extra strength, and ergonomically molded for comfortable handling. These ProStaffs have a small profile of 6.5 inches (16.5cm) by 5.1 inches (13cm) and weigh just 22.8 oz (.65kg). That’s light enough for handholding and taking along on a walk. Don’t drop them in a puddle, but you could. The ProStaff is waterproof and sealed with nitrogen to prevent fogging. A shock-resistant casing protects the finely-aligned optics. A lot of people enjoy getting into a new product’s box and reveling in the added goodies. Don’t get your hopes up here: Nikon is notoriously stingy in its packaging extras. You do get a case and neckstrap, though both are replaced by many users at some point. The eyepieces and lens covers are made of cheap-o plastic that stays in place best with the help of gravity. Don’t bother complaining, Nikon knows you don’t make decisions based on the objective lens cap. They’ve ignored the same complaint for years. The warranty for Nikon’s solid No Fault Repair/Replacement policy is good though. And the best part of a serious lifetime warranty is the motivation it gives a company to make the longest-lasting product possible. PRO TIP: Check your retailer to make sure they are approved by Nikon. The manufacturer won’t honor this warranty on gray market sales. 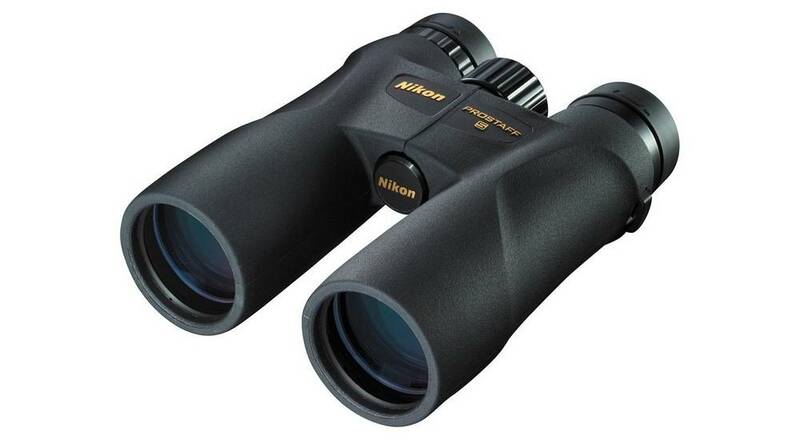 The Nikon ProStaff 5 8×42 is popular go-to binoculars for the great outdoors. The optics and adjustment controls are well-engineered, and include a roof prism configuration to create a compact bin easily carried or tucked into a bag or purse. 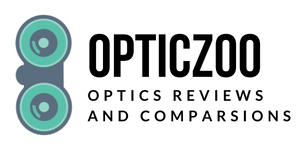 Multilayered optical coatings and environmentally friendly Eco-glass deliver a sharp, bright image with accurate color rendition. The ergonomically shaped body is durable, sleek and lightweight. 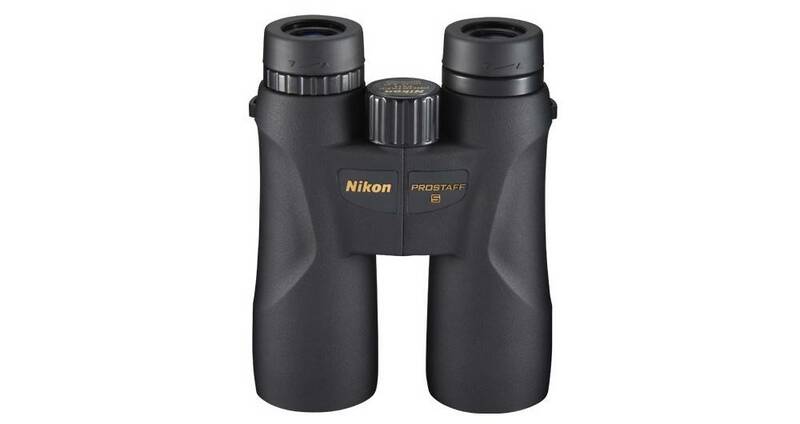 Nikon ProStaff 5 8×42 is entry-level binos made for everyday use. These versatile bins are tough, light and easy-to-use — and inexpensive enough to bring everywhere without worry. They offer nice optics and a well-rounded performance for an affordable price. There’s a lot to like. You do need to manage expectations, however. This ProStaff’s FOV isn’t as wide as most 8x binos, and have only limited low-light performance. You might have to tape the lens caps so they stay put, but their optical engineering is superior to most entry binoculars. It’s a good combination of trade-offs for many users. They have some highlights, too: a lightweight and compact frame, exceptionally long eye relief, complete weatherproofing… a great warranty. Nikon’s ProStaff 5 8×42 binoculars aren’t for everyone: but they’re excellent if you’re just starting out, or just want a nice versatile pair for everyday life.